A new tablet will be released during September this year. This tablet has been specified designed and aimed for educational purposes in hope of a attracting a new positive market. Parents maybe are more willing to invest in a tablet if they know it could benefit their children in the educational department. News Corp’s owner Rupert Murdock is using his Amplify group that focuses on education to create an Android based operating system tablet to target the US market. The 10 inch screen tablet will benefit primary and secondary children that attend school due to the applications that are preloaded. The design is to allow teachers to monitor their student’s progress and help adapt lesson to the student’ needed and requirements. It is fully customizable and therefore each student can focus on any weaknesses identified by the teacher as well as the ability to download useful applications. 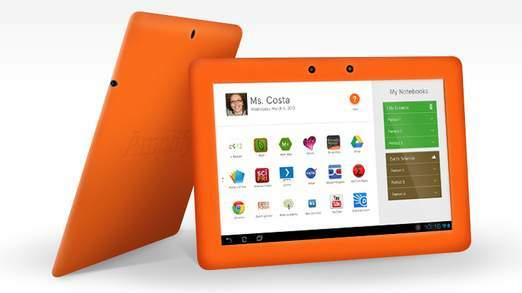 Critics have claimed that there will be no need to purchase this tablet if the student always owns a tablet as the application will be able to run on over tablets. Also people think this move will make classrooms completely technology based and that students’ handwriting skills may decrease. Click here to read more. The cost of this tablet is estimated to be about $300 dollars, which the company has argued is a very small and affordable price for many people. Chinavasion has several tablets that can be used as the applications can be downloaded or transferred onto. 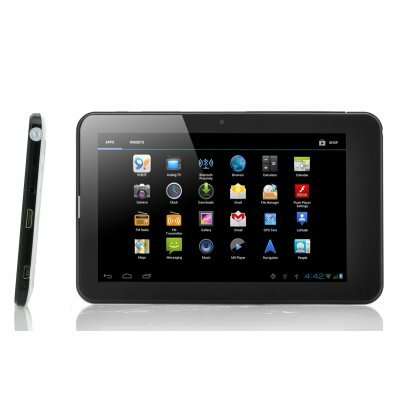 Here is a three tablets that are at a real affordable wholesale price. This tablet is one of our bestsellers and it is the next generation of high speed tablets. Our “Diablo” tablet is by far one of the greatest contenders, competing with top end brands, hands down. This dual core cortex A9 1.6GHz tablet will shred 3D Games, Crackle, HD video and be able to devour any application you download from Google Play/Marketplace with ease. The “Diablo” is Heaven sent with its brilliant HD display resolution of 1024×768 pixels and 10 point capacitive touch screen display, making this tablet angelic to touch and even clearer to view all of Android 4.1 Jellybean updated OS features. There is simply no need to strain your eyes whilst watching movies, reading online news/emails or playing your favorite games. Using the “Diablo” is truly an uplifting experience with its new HD display and 1.6GHz dual core processor. Android 4.1 OS: The latest android system with an even better UI, resizable widgets, redesigned operating system, improved web browsing, the new 4.1 OS brings plenty of new features and enhancements. The “Diablo” is capable of delivering the range and capacity to support today’s internet and WiFi bandwidth-hungry applications, such as Youtube video HD streaming etc. This tablet is priced around $200 and even with the additional postage and packaging costs it is still far cheaper than the one offered by Rupert Murdoch’s company. Another great offer and a popular seller is the “Compass”. 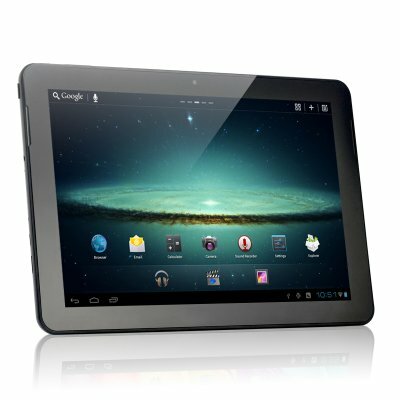 A 7 Inch Android 4.0 Tablet with GPS as well as Galileo GNSS navigation, 3G internet, 1GHz CPU and Dual SIM to make phone calls and send text messages. The “Compass” brings a GPS, cell phone and tablet PC together into one small and portable 7 inch device. Use the “Compass” on the go to browse the internet or to watch movies. When traveling by car, simply turn on the GPS function or use the EU’s counterpoint to GPS, Galileo and let the “Compass” navigate you to your destination. Stay connected to the internet everywhere using the 3G function and make phone calls thanks to the Dual SIM ports. A high quality 7 inch screen offers a 1024×600 resolution and supporting the most commonly used media formats, this tablet is able to play your multimedia straight out of the box! The 4GB of internal memory can be upgraded with an external Micro SD card up to 32GB and the “Compass” also offers 3G tethering to share your mobile internet connection with other mobile devices. This is also reasonably priced and still far cheaper than the one offered by the Amplify group. The next tablet we have again is a good seller but also is a formidable size and is actually one of the largest with a screen that is over 10 inches. It certainly out sizes the latest tablet that has been proposed by News Corp. The “Starlight” Android Tablet offers an extremely powerful 1.6 GHz Dual Core CPU, 1GB of RAM, a 10.1 Inch HD resolution screen and 32 GB of internal memory! Lightning fast, this tablet can take on every game, application or multimedia entertainment you throw at it. 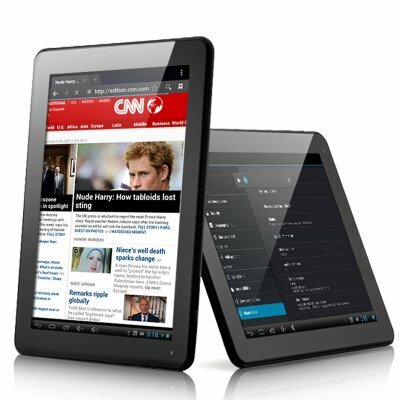 With the “Starlight”, a next generation of high speed tablets has arrived at Chinavasion. This tablet can easily compete with high end top brand and even surpass them! Shredding 3D games, Netflix and HD Videos, the 1.6 GHz A9 Dual Core Processor is able to smoothly run any application you download from the Google Play store. “Starlight’s” brilliant HD screen with a resolution of 1280×800 pixels and 10 point capacitive touch screen renders any content like it deserves to be viewed. Watch HD movies, read the news, write emails and play fantastic 3D games on the tablet’s big 10.1 Inch screen. Every detail will appear crystal clear and in lifelike colors. Take the “Starlight” with you anywhere you go, slide it in your backpack or briefcase and use it while you commute to work, to school or while traveling. With a 7200mAh monster of a battery that lasts an astonishing 6 hours, this tablet will keep you entertained all the way. An incredible 32GB of internal Flash memory lets you take your whole multimedia collection with you, wherever you go. Allowing you to always have your favorite pictures, music and the newest blockbusters on you and if you wish to share them with your family and friends, plug your tablet to any HD TV using the built in HDMI Port. With all the above impressive specs this tablet is still much cheaper than what is being offered by the bigger corporations and brands with similar specs. These tablets are at a great wholesale price and Chinavasion even offers a special price if a product is bought in a quantity, making the individual unit cheaper. Also make sure to see our other great tablets that we have in stock. Chinavasion offers benefits that most online stores cannot match such as any products that are ordered are then processed and shipped within 24-hours, each product comes with a 12 month warranty, we have our own in-house QC department, offer member discounts as well as award winning customer support and of course Chinavasion can ship anywhere in the world.